For many thousands of years, Vaisakhi has been the time when farmers have put their sickles to harvest and celebrated the coming of a new year. Since 1699, the Sikhs have had a further reason to celebrate at this time of the year. Now Vaisakhi is celebrated with even more energy, pomp and fanfare. It has become a holy day to mark the birth of the Khalsa fraternity. And so 300+ years on, this tradition continues with much gaiety, vigour and enthusiasm. Sikhs worldwide will spend much time remembering this most important day in their religious calendar – the day the Khalsa was created. If we take ourselves back to 1699 and the birth place of the Khalsa perhaps the real significance of Vaisakhi for the Sikh people can be comprehended. During the period around 1650, the country around Punjab was in turmoil; the rulers were corrupt; there was no rule of law; the rights of the common people were non-existent; justice did not prevail. The strong imposed their will and their way without question; the weak suffered constantly and quietly; there was misery everywhere. It was under these circumstances that Guru Gobind Singh rose to the occasion and chose to create the Khalsa. The Guru was looking for people within the community who would take on the challenge and rise above the weakness; to be strong and fearless; to be prepared to face these challenges without reservation and to uphold justice; to be fair and even handed at all times; to be prepared to die for the truth. 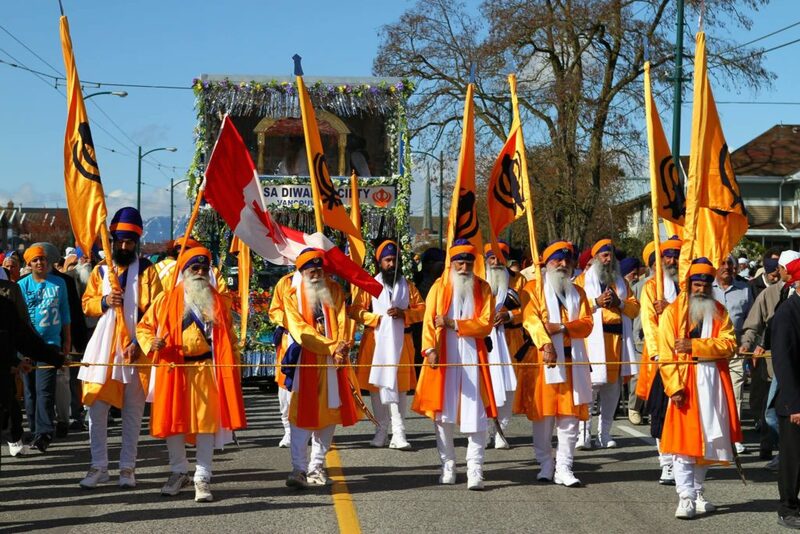 The Vancouver Vaisakhi Parade is one of the largest Sikh parades in the world. Attendees of all races and cultures are welcome at this celebratory and rich cultural event, which features a large number of floats, community performers and live music. 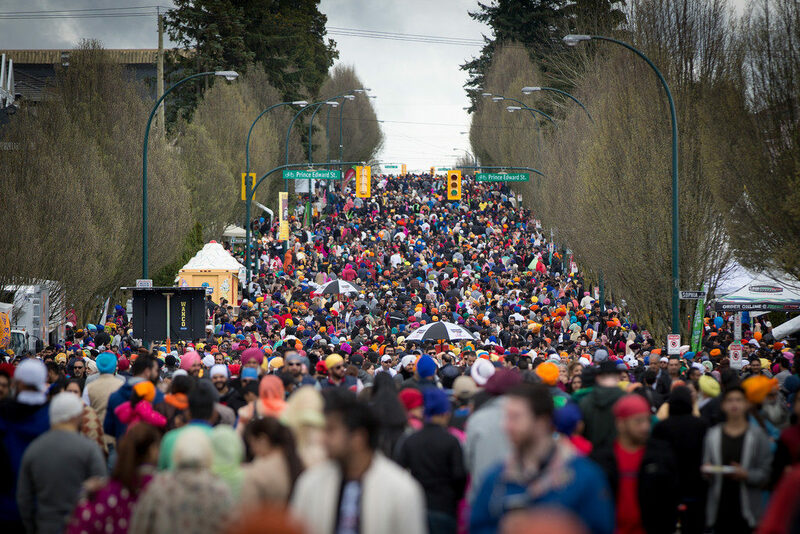 Vancouver’s Vaisakhi Parade also features a unique element which pays tribute to the harvest celebration roots of the parade – attendees are given free food and drink from hundreds of local residents and businesses.